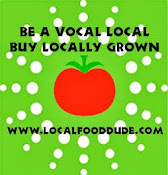 Local Food Dude: Notes from Chef Tim: Share Our Strength's Taste of the Nation New Haven 2013 is in TWO WEEKS! Share Our Strength's Taste of the Nation New Haven is the nation’s premier culinary benefit dedicated to ending childhood hunger in America and is scheduled in New Haven for Wednesday May 22, 2013 at the Omni Hotel at Yale. Join famed Chef & Honorary Chef Chair Jacques Pepin as the Taste of the Nation® New Haven continues to set the bar on the culinary event scene by bringing over 40 of Greater New Haven's most notable chefs and bartenders together under one roof; providing an exclusive opportunity for attendees to mix and mingle with the area's top toques while savoring their creative dishes and libations. 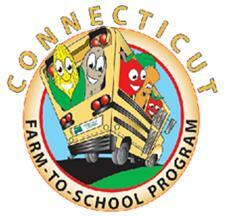 This year, our goal is to raise even more funds to ensure that no child in CT grows up hungry. Support the fight against hunger with an elegant evening of fine wine, exquisite food and handcrafted cocktails at The Omni Hotel at Yale in the heart of downtown New Haven. VIP guests will enjoy private access to our VIP lounge with plush seating, specialty cocktails and opulent bites by Chef Chris Eddy of Winvian. We are delighted to have Michael Morand as the Honorary Chair of this great event but I am sad to report that the need continues to increase every year. 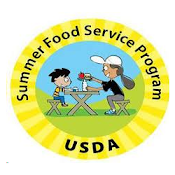 The Connecticut NO KID HUNGRY Campaign to End Childhood Hunger is in full effect and with your support we hope to diminish the need to the point when one day we will be able to divert our energy to another cause. Get ready for an unforgettable evening of food from over 40 of the top restaurants in the New Haven area and 20 craft beverage vendors. Guests will have the opportunity to bid on one-of-a-kind experience packages in the silent auction and enjoy live entertainment. The Elizabeth Dellinger/Tony Dioguardi Duo will be entertaining all our guests in the Grand Ballroom. VIP Tickets holders will be experiencing an Evening Of Song with Tanya Leonard, accompanied by Derek Monahan on Guitar. VIP guests will have the opportunity to mingle with Chef Jacques Pepin and sample fine foods & spirits thanks to Mionetto & Winvian in an intimate setting on the 19th floor of the Omni Hotel. Join us for a fantastic evening to benefit No Kid Hungry. We have a few great LIVE Auction Prizes including an ESPN X Games Experience in Los Angeles and a Zulu Nyala Safari Tour and a special night of drawing to win a one week rental for a two bedroom condo on Siesta Key, FL. The silent auction also includes items from Winvian Resort, New Haven Open at Yale, Chrysalis Design Services, Shubert Theater & Universal Studios Orlando. Look for our ad in the May edition of New Haven Living magazine for our new ticket discount code! Last year we raised over $60K, while that is a good number, it pales in comparison to the potential that this event can raise. This year we hope to raise even more money to help put an end to this epidemic. I am asking for your support by purchasing tickets. Cash and in-kind sponsorships underwrite all event costs and are absolutely welcomed. 100% of ticket sales help ensure that no kid goes hungry. VIP Admission Ticket, 5:00 - 9:00 PM $150.00 online; $200.00 at door. VIP admission includes a 1 hour event preview, exclusive access to an elite lounge featuring seating, special VIP-room only champagnes and fabulous tastings from celebrated chefs. Each VIP ticket has a tax deductible amount of $110. General Admission Ticket, 6:00 - 9:00 PM $85.00 online; $100.00 at door. 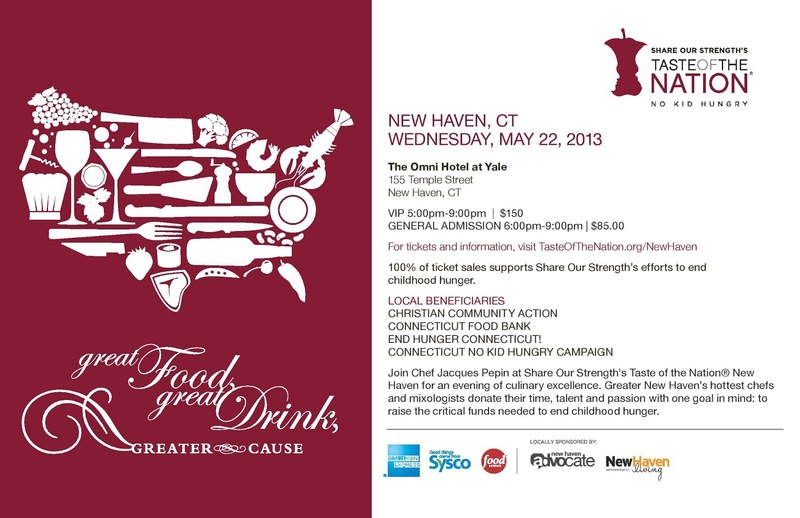 Sample the best food and beverage New Haven has to offer as you help to end childhood hunger! Each general admission ticket has a tax deductible amount of $45.